If you have ever thought of making a slushie out of beer, I can tell you that it works terribly—especially on a hot day. The ice just melts and dulls the beer, and the watered down malted grain just brings out a pouty face. However, if you do it right—magic happens. The key is to dispense a layer of frozen beer on top of your existing beer, that keeps it cold and delicious. And you don’t have to worry if any of the ice melts, as it is made of the same premium stuff that is already in your glass. 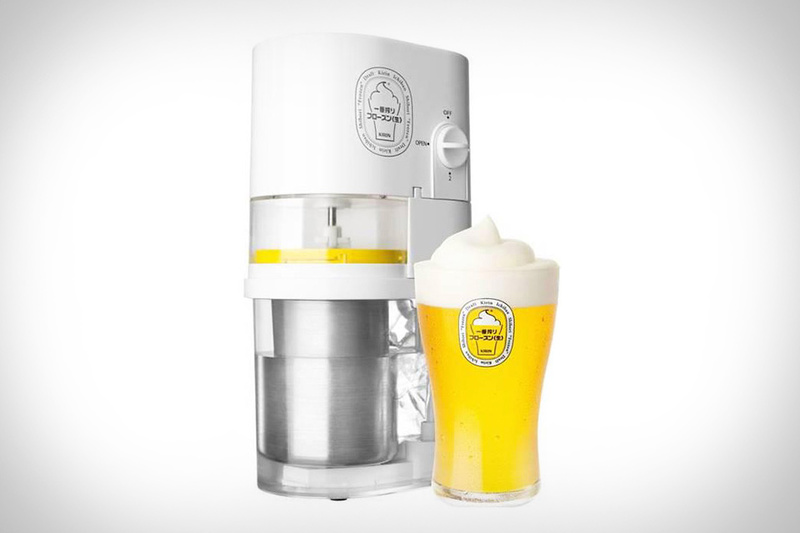 The Kirin Ichiban Frozen Beer Slushie Machine freezes beer, and dispenses its ice shavings on top of your summertime brew favorites. Once done, it kind of resembles the frothy goodness of tap beer, yet it is primed to keep your beer colder for longer. The machine is battery operated, so you can bring it wherever you need it. And if you have already heard enough… you can go ahead and get one here.